Children at the spa. Natural treatments using sulphurous water with bromide and iodide salts, the consumption of medicines and to improve lifestyles. Together with the whole family, in a pleasurable, expert and knowledgeable way. 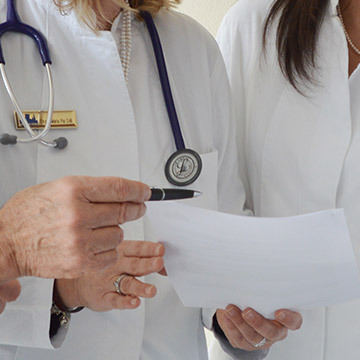 The network of healthcare services of Terme di Sirmione makes check-ups and prevention and treatment courses available in the paediatric field with the contribution of several specialists able to ensure synergic and effective treatment courses. Every year, 4,000 children, including the very young, choose Terme di Sirmione for treatment in a natural way with thermal water of many allergy-based diseases that affect the upper and lower airways such as rhinitis, sinusitis, otitis, bronchitis and asthma, and the skin, such as atopic dermatitis and acne. In the last 20 years, research has confirmed and revealed the elements and the actions that are the basis of the extraordinary capacity of the water of Terme di Sirmione to reduce inflammation of the airways and the skin, bringing benefits that last.